NOTE: Since the sect claims they take no name or title for their beliefs, it has been given many nicknames, the most common being: "the truth." 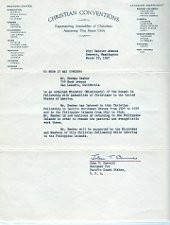 Some other designations are: The Way, The Friends and Workers Fellowship, Two-by-Twos, 2x2s, Cooneyites, The Fold, No-Name Church, Christian Conventions, Assemblies of Christians, The Testimony, Testimony of Jesus, Nameless House Church, Tramp Preachers, Go-Preachers, Alberta Society of Christian Assemblies, Dippers, The Black Stockings, Black Sox, The Jesus-Way, The New Testament Church, White Mice (Rathmolyon, Ire), Bluelights (Tasmania, Aust. ); and eponymns: Cooneyites, Irvinites, Gillites, Reidites, Carrollites, McClungites, Fraserites. "...they adopted the name CAA (Christian Assemblies of Australia) in the second World War in order to get petrol coupons, etc." (from Margaret Vogt's Testimony). "Mr. W. C. Carroll of the Christian Assemblies of Australia" officiated at the funeral of Angus McKenzie (Camperdown Chronicle, Victoria - April 30, 1940). Sweden: "Kristna i Sverige" (Christians in Sweden) Registered in 1992 with Swedish government as this organization. Vietnam: Christian Mission Vietnam registered in 1967 by Fred Allen. Philppines: Registered in WW2, but the church name is not known. From Herman K. Beaber's diary: "...See by the paper that we must register our denomination—five pesos if you please...We have been asked to register our ‘sect’, ourselves as missionaries, and oh, so many more questions." Cuba registered in 1993, but the church name is not known. Walter Pollock said, "Our doctrine is on file in Havana, Cuba because we were investigated because the Cuban government could not understand how or why this was held together." When did the term “Two by Two” (often abbreviated to 2x2) come into use? “Two by Twos” is not a newly coined name. The descriptive term is often shortened to “2x2s” and has become a very commonly used name for this church which claims it does not assume an official name. It was coined by outsiders and using one of the Church’s notable practices; that of its preachers traveling in pairs, “two and two” as Jesus sent his disciples. There are many other nicknames applied to the Church also, and this is the most common one in North America. Some church members consider the term condescending, derisive or derogatory. The term is favored by many due to its ease and convenience—with no intention to be offensive. “Two by Twos” works well for identification purposes, uses the fewest number of words, and can even be shortened to three keystrokes: 2×2, which will arrest the attention of almost anyone who has ever been associated with that Church. Wikipedia contains a page about this church titled “Two by Twos.” Wiki requires that articles be titled with the name most often used in third-party references, and the name “Two by Twos” met their requirement. The Library of Congress maintains a database of terms used in library records for authors, corporate bodies and subject headings. The authorized form of the name for the Two-by-Two sect in this authority file is "Two-by-Two's (Christian sect)." So, if you are looking for materials in a library's catalog by subject headings, use this term, rather than "Christian Conventions" "Cooneyites," "Go-Preachers" or "Nameless Ones." BOOKS: The earliest printed mention in books of the term is found to date is in a book printed in 1925 titled Through Western Canada in a Caravan. 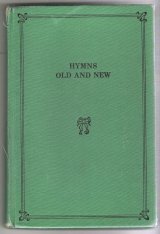 Subsequent books used the term in 1938, 1941, 1952, 1952 and 1955 and The Apostles’ Doctrine & Fellowship in 2003. An encyclopedia about various Christian Fellowships used the term in: Profiles in Belief – The Religious Bodies of the US and Canada in 1979 by Arthur C. Piepkorn. Books written exclusively about the Two by Twos were first printed in 1968 with the booklet titled They Go About Two by Two, followed by The Secret Sect in 1982. 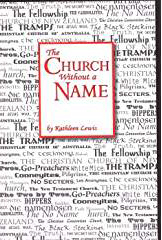 The Church Without a Name, published in 1990 was the first book in which the author referred to the church as Two by Twos throughout the entire book. 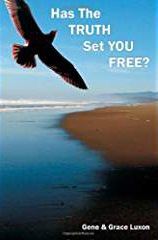 Has the Truth Set you Free was published in 1991, three books were published by Research & Information Services 1993 to 1996 (Reflections, Reinventing the Truth and Search for the Truth); The Church with No Name in 1996 and In Vain They Do Worship in 2000. The last book using the term “Two by Two” in its title was published in Ireland in 2012 titled: “Two by Two” The Shape of a Shapeless Movement. 1925: The earliest mention in a book I've found to date is Frances Hatton Eva Hasell's 1925 "Through Western Canada in a Caravan" (I have this on order). 1938: The Lutheran journal "Concordia Theological Monthly" (published by the Concordia Theological Seminary) was using the term by at least 1938 with reference to conventions. 1952: Marcus Bach's "Of Faith and Learning: The Story of the School of Religion at the State University of Iowa" uses the term in 1952. 1955: "Sometime between 1910 and 1914, the curious and little-known Cooneyites, popularly called the "Two by Two's" on the prairies were started in Alberta." [Canada] (Source: Sect, Cult and Church in Alberta, by University of Toronto Press, 1955, pp.15-16). 1968: William E. Paul's booklet was first printed with the title: "The 'Two by Twos': Who Are They? What Do They Believe?" (published by News and Truths in 1968 according to Google). 1941: Letter to Editor of Impartial Reporter, Enniskillen, N. Ireland by Walter M'Naughton, Peace River Bible Institute, Sexsmith, AB Canada - wanting more info re Irvine & Cooney: "There is a cult of people out here who are commonly known as the 'Two by Twos' or the Cooneyites." 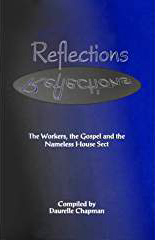 But cult researchers say the group is actually known by several names, including the "Nameless House Sect," the "Two-by-Twos" (so named because their lay leaders always travel in pairs), "The Way" (not to be confused with The Way International), and "The Cooneyites" (from an early founder). "Very little has been written about this obscure worldwide church," says Westmont College professor and cult expert Ronald Enroth in his new book, Churches that Abuse. But Enroth says the group has gained a reputation for potentially aberrant Christian behavior. "The Two-by-Two's impose a restrictive and rigorous lifestyle on the membership," Enroth says. Children are physically disciplined from the time they are a few months old; women shun makeup and dress modestly; only the King James Version of the Bible is accepted. By Jody R. Snider. 1994: THE CALGARY HERALD - Saturday, July 30, 1994: Such outsiders often term the group the "Two by twos," because its unmarried, propertyless and itinerant preachers, known as workers, go forth "by two and two" as Jesus sent out his apostles, according to St.Mark. "But we don't call ourselves that." explained Knipe last weekend on a beautifully shaded private farm near Didsbury, where more than 800 followers had gathered to worship and break bread together. Adherents say they are simply followers of "the way," "friends," or "saints" serenely untroubled that an outsider might confuse them with the Society of Friends (Quakers) or the Church of Latter Day Saints (Mormons), two very different groups. Guilderland N.Y. (Reuters) - Christian 2x2s Worship Quietly in U.S.
*Tommie Gamble is acknowledged as the head worker in Ireland.